The XCL-SG510 (black & white) and XCL-SG510C (colour) are the latest industrial cameras from Sony to incorporate Sony Pregius GSCMOS sensor technology. The XCL-SG510C combines the best of Sony technology in a convenient form factor which is optimised for use within both the Industrial Vision and non-manufacturing vision markets. 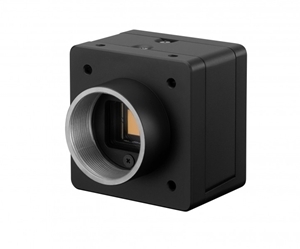 Drawing upon Sony's market leading Global Shutter CMOS sensor technology the XCL-SG510C combines the highly innovative, high speed IMX250 5.1MP GSCMOS sensor with Sony's rich heritage of complete camera technology and a Camera Link interface, bringing the best combination of performance and quality from a brand you can trust. The XCL-SG510C incorporates the very latest Pregius high sensitivity techology for maximum visibility in challenging lighting environments.